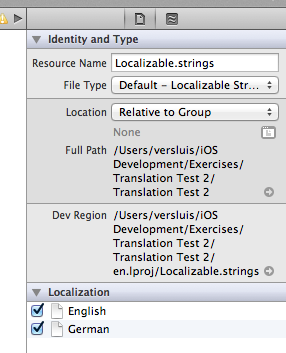 Xcode will bring up a dialogue box and suggest files it can translate. Leave them all ticked (or uncheck the ones you don’t need) and hit finish. 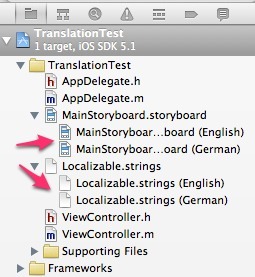 Technically with two languages there are only two files – the first one is just a heading to clarify. Prior to 4.4 Xcode would create a separate folder per language (like en.lproj) and add the files there but that’s not the case anymore. This would be displayed when the iPhone is set to German. You guys should check out this localization tool: https://poeditor.com. I’m trying to show it to all the developers I encounter because to me it’s really easy to use and very efficient. 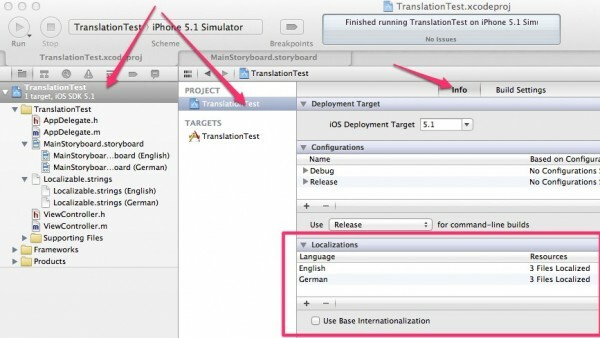 It has a nice translation memory that helps a lot and also the API is very helpful.